It has been such a busy month with the Blog Anniversary Celebration and LOAD (Layout a Day). With so much going on, I haven't been able to respond to comments the way I usually do but I will get to them by this weekend to be sure that any questions are answered. I have another digital page to share today. The challenge for this one was to use a variety of different items - no two from the same designer - on your page. I think the intent was to show how often you can mix and match products from different manufacturers. I do this a lot with my paper products but I found it a little more challenging in the digital arena. The papers I used were from different kits but they all had a vintage feel. I did some recoloring to make them all blend together. Here is a closer view of the photo and flowers. The photo is of my sister and my mother and was taken March 1, 1951. I love to look at these old family photos. There are not a lot of them and that makes each one more precious. This sister and I look more alike than our middle sister. I remember asking my mother why there weren't many photos of me as a little one and she said. "You looked just like your sister - look at her photos!" The flowers on this page are embellishments that I made from some of my photographs of the gardens. I like to make my own embellishments for an even more personal page. I use the Artisan software from Panstoria and it is not difficult to turn one of your photos into a PNG file that you can then use for many of your projects. I haven't forgotten the request for a video on this - it will be coming soon, starting with an example with a simpler shape. The new Explore machine can only be operated from a computer with an internet connection. There is a new online program called Design Space that will finally be open to the public Thursday at 10 a.m. Mountain time. You can find the log in page HERE. Even if you are not getting a machine right now, you might want to see how things are set up - it looks very different than the CraftRoom. Lettering Delights has some special "Shop 'til you Lollipop" coupon codes that end on Friday, February 28th. Be sure to check out their discounted bundles HERE to stack the savings. There are graphics file to use with digital scrapping or printable projects and you can also buy lots of cutting files in a variety of formats. I can't wait to try some of my SVG files with the new Explore. I cut this intricate basket with my Cameo and I want to compare the tiny circles in the design after I cut it with the Explore. 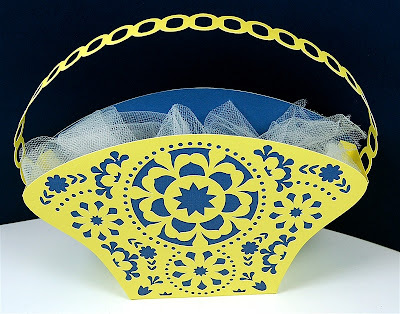 You can find the basket set HERE - there are eight cut out designs for the baskets, one solid basket and one liner in the set. So what did I put into the boxes today? I had some interesting cards that are replicas of old school forms and other vintage ephemera. I picked out a dozen for each box (all three sets are the same). These are Artist Trading Card (ATC) size, 2 1/2 x 3 1/2 inches. I still have some left for me so you may see these popping up in a project sooner or later. 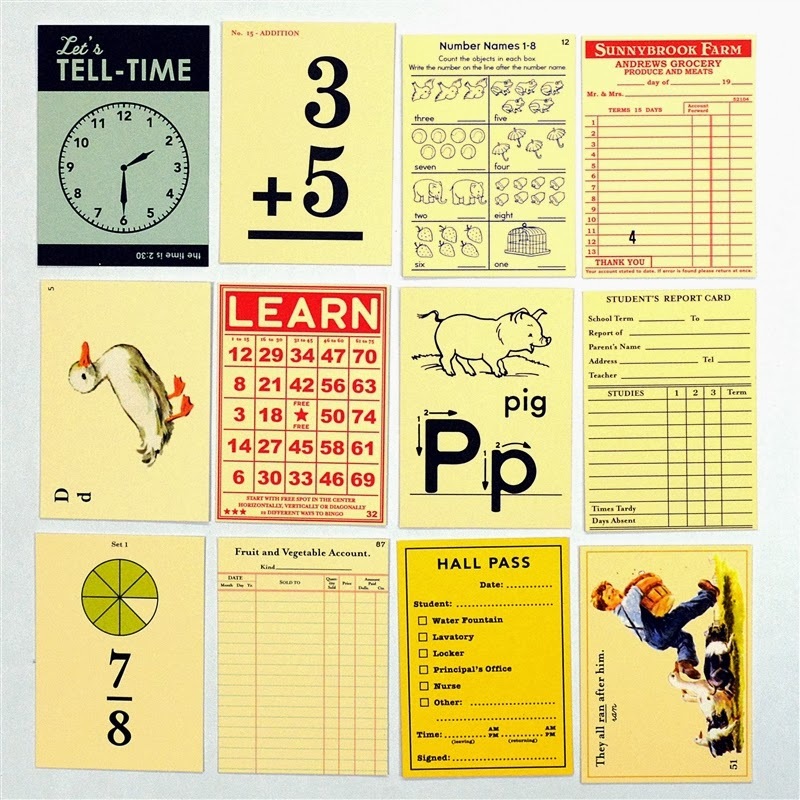 Speaking of vintage - of course Tim Holtz comes to mind. These three matchbook notebooks are full of kraft paper (perforated to remove easily) and you can jot down notes or use the sheets to punch out shapes for you projects. There are three different covers - one for each box. The matchbook notepads are the same size as the little cards - 2 1/2 x 3 1/2 inches. These boxes are looking pretty full - two more days to go before they are done! Are you a fan of vintage style? I have lots of "old stuff" and can't bear to throw any paper scrap away if it has interesting writing or images. Do you find yourself sticking to one "look" or do you dabble in styles, clean and simple one day, Victorian another and geometric die cut shapes the next. What would you say is your favorite style? I may or may not get my new Explore on Thursday - it is in shipping but the UPS tracking number is not showing any progress. Oh well - it will get here when it gets here, in the meanwhile I can start making things in the Design Space to cut when it does arrive. It's super cold here - we are really ready for Spring to arrive! I do not stay with one style, I am all over the place. I love to try different things depending on what I'm scrapbooking. Well Diane I would have to say that I do like vintage stuff. I think it is very pretty on a page when you turn your photo into a black and white or sepia. I love this LO. I love the flowers and the way you used them in your LO. I'm loving your blog celebration and the different things that you are adding to your boxes. I have made a calendar from graphic 45 A Place in Time paper stack, which has a vintage look. This was out of my box zone. I really like your layout. I need to start scrapbooking some of my thousands of pictures. I'm anxiously waiting for you next review of the Explore. My daughter would tell you my style is "Froo Froo". I like bling, flowers, bows. But I love vintage, too. After all, I'm vintage. I try different styles. I don't do cutesy too well though. I generally am not a fan of vintage style, but I will try anything different for a small project, such as a card! My scrapbooking definitely leans towards clean and simple - and yet I still can't seem to make any progress! Ihope you receive your Explore today! I have been having an issue with FedEx tracking for my son's computer, which has been out to be repaired for 3 months! I hate not knowing which day I need to plan on staying home to sign for the package. I do like some vintage styles, however, I don't scrapbook much with it. I tend to gravitate to bright geometric styles. I just have to have bright and bold colors. Even tho I do like the vintage look of cards I don't make many of them. I make mostly the clean and simple cards and use die cuts as well as EF. Depending on the occasion is how I decide on what type card to make. I do not have a style but I lean more to the clean & simple especially in scrapbooking. The photos should be the focal point not a lot of flowers & other embelishments. I like to look at things done vintage style, but I don't do any. I will have to admit that I have sort of gone vintage crazy the last couple of years. I found several old photos in boxes I got from my mother's. I have looked for papers and such to scrap these for myself and my brothers. So many have such beautiful flowers that any I don't use for these photos will probably end up as garden pages also. I do like the vintage look but not all of the time. I do like bright colors sometimes and jewel tones the next, so my scrap books and cards are all over the place. I guess for me Variety is the spice of life! I like vintage for older photos, I've been using Shabby Chic and floral a lot lately...probably yearning for spring! I try to fit the style to the photos I'm scrapping or the project I'm making. Style wise I like anything if it is not too chaotic. I guess my style is just pretty simple. 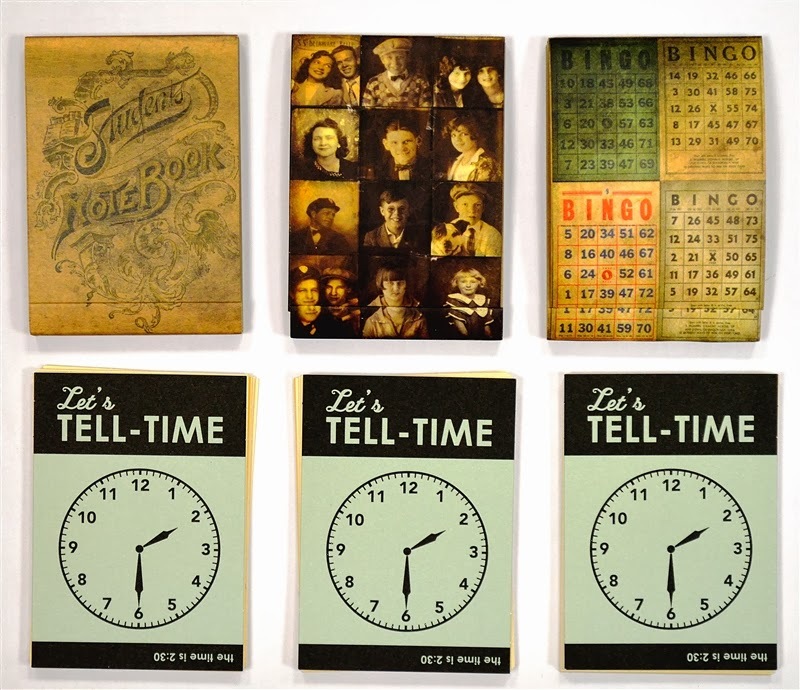 I like Tim Holtz products, but some of what he does is overwhelming. Vintage is great for heritage pages like old family photos. I have used pages from old cookbooks, old newspaper clippings and vintage ads as embellishments. My usual style is clean and simple. I usually have lots of pictures, so I like to squeeze 4 - 6 pictures on a page, so not a lot of room for ornate embellishments. I love vintage style and have lived in victorian homes in the past. I'm working on heritage scrapbooks so vintage works in perfectly. I also like to mix it up and use other styles as well. I honestly like many styles. Whimsical, Vintage, Shabby, Elegant. I honestly decide on my style based on who the recipient is. For example, my mother ONLY like things over the top elegant...so I cater to that. 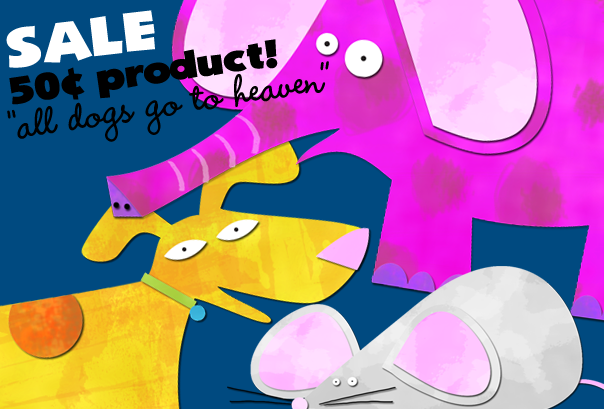 My mother-in-law love cute and whimsical so I can do "cuter" images with a punny saying. My daughter teacher LOVE western themed items so I cater to a rustic style with her. SO I almost always cater to the persons likes. I am not sure I have a style. I like to look at blogs and get ideas and then make up pages from there. Most of the time I am simple and kind of country colors. I'm not really a fan of vintage style unless I'm working on our family heritage album. I like a lot of different "looks" depending on what I'm doing - fun bright colors for children's cards, clean & simple for sympathy, fancy (flowers and bling) for anniversary), etc. My favorite is probably simple elegance that can be used for so many different types of cards and scrapbooking as well. I like vintage, but do not stick to it exclusively. I try any style that appeals to me at the time and mostly depends the recipient of the project I am working on. I love vintage. I find that my styles of stuff are very mixed and range from modern to old, mute to bright, neutral to neon (well not quite). It is fun to not stay on one track! I'm not a big fan of the vintage look. I prefer more vibrant colors, with clean lines. I tried to get into Tim Holtz products, but it just looks messy to me...I'm obviously not doing it right! I'm vintage enough in person, I don't need it in my cards. My style is always evolving. When I started with the cricut, all my cards were always very "person specific" with lots of cuts and tons of tiny details. It sometimes took 3 or 4 days to make one card. Now I get a lot more done with a lot less stress. I love 3d. Vintage I don't use very often but I love it. I like the vintage look but I don't scrapbook anything vintage. I'm afraid that once I'm done with the page it wouldn't look vintage anymore. I do like the look though. Like many of the commenters above, I, too, like all kinds of styles, including vintage. I'm just not good at putting lots of layers and lots of embellishments on my cards. They're generally CAS, but I like my bling, buttons, bows and lace!. My biggest effort is to personalize my cards for each receiver. That definitely takes time, effort and thought! I love vintage, shabby chic, and even some steampunk. I never met a Tim Holtz item I didn't love. That said I can and do design in other styles such as classic&elegant and CAS. I don't do cutesy stuff, it's just not me. I like looking at Vintage items . I don't know though if I could pull off a vintage project' Looking at different vintage sites I feel like I remember seeing this as I grew up. My grand mother on my fathers side had what would be called a very vintage house. Im now 53 AND WHEN MY GRAND MOTHER DIED, I DID GET A VINTAGE Bank. Its so cute. I wonder what happened to all of her stuff. I am a huge fan of Tim's stuff and have almost all of it. Since I have a family of men (no sisters, daughters or my Mom) his style - grunge, shabby chic, vintage - works for most of my layouts. Also my men are gearheads and racers so that style fits in with most of our pictures. My style is dictated by my pictures. Some of my layouts are very simple/clean and others have lots of goodies on them. I see some layouts that have tons of stuff on them and are so beautiful, but when I try that, they look cluttered. To me less is more. 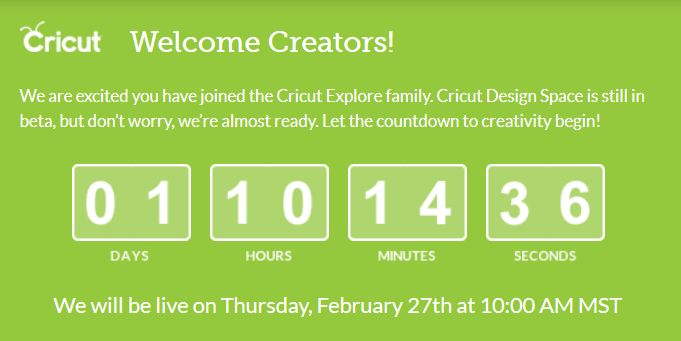 Love your layout and even though I no longer have any of my cricut stuff, I am still very interested in how the explore will do. For me the print and cut option on the Cameo is the "cat's meow". I like some vintage styles and shabby chic, but it needs to be clean without a lot of "stuff". 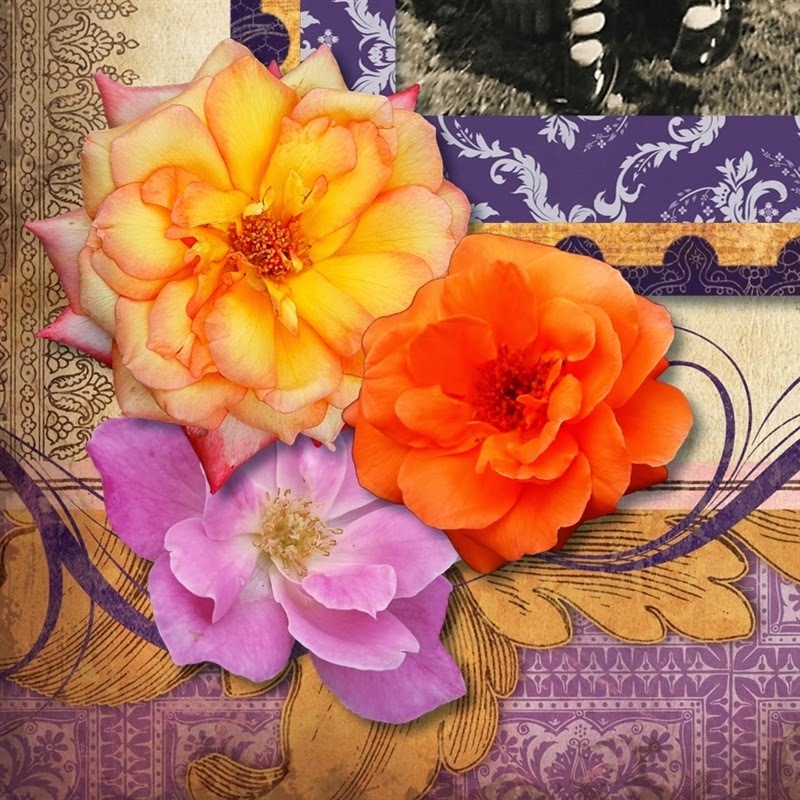 I love floral papers, adding lace and flowers to vintage pages. I will save scraps if they are big enough to re-use, but if it is a fairly small scrap, I throw it out. My scrap paper stash is huge. It is the first place I go when creating something to see if I have anything that works with the project without having to use a new sheet of paper. 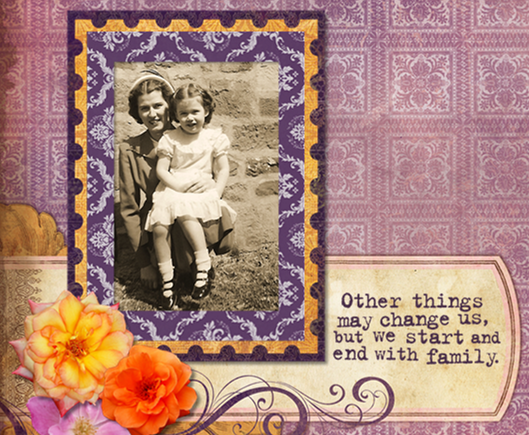 I have all kinds of styles when creating scrapbook pages and cards. It all depends on my mood and who might be receiving the card. Vintage is definitely my style. I like some shabby chic, but not nearly as much as vintage. Thank you so much for sharing your ideas and finished pages/cards. I like looking at vintage layouts, but I really don't use the style. For cards, I mostly use simple and clean with memory box dies. For my scrapbook pages, since I am scrapbooking my grandchildren, I pretty much use clean and simple with added bling for my granddaughter. I love the basket you created. So pretty. I hope to get it someday. Though I don't know what I'd use it for. I like all different styles including vintage. I'm not very successful at "doing" vintage though. I need to practice more I guess! You may look a lot like your sister, but my goodness, you sure do look like this picture of your mom! Isn't it amazing how genetics play such a role in our appearances? My style is pretty much clean and simple. Sometimes I dabble in some other style that I find attractive, but not usually. I definitely don't like the "shabby chic" style that was all the rage not too long ago! My style? I like it all but tend toward more cleaner lines with a smidgen of layering. I like vintage a little but not so much on my layouts unless I am scrapping heritage photos. Hold tight Spring IS ON THE WAY....Love your sister and mom layout. I really don't have a style. When making cards I try and make the style for the person. I have made some vintage cards and I just love them. They are a bit harder to make as I don't have much old stuff. I do have some old dollies and a few table cloths just can't get myself to cut them up. I'm so glad that the Design Studio has opened up. I want to play around with it just to see if I add the machine to my want list. These cards look great and would look perfect on some of my Grandparents pictures. Thanks for this opportunity ! My favorite style is all of them. Honestly when I'm making cutesy it's my fave and when I do CAS it's my fave and so on. I've done a bit of vintage and love it but I don't find myself doing it very well. Need to practice more and your wonderful layout gave me some inspiration. Thanks for the chance to win! I like the vintage look but don't use it much. I'm more of a clean and simple gal. I tend toward using bright colors. I do push myself to try pastel and creams, too. Love the flowers on your layout, so beautiful! Would welcome a video on how you did that, they look so real! Stunning! I like some vintage and most styles, but I probably love girly, glittery, lacy and elegant the most. I have 3 grandsons, ages 11-15 now, so have to create a special style for them, they're getting too big! Thanks for the update on the Explore site, will have to try it! I like vintage. I found some old travel postcards in my folks' things and threw them away (before my stamping craze days). They were really old and now I wish I had saved them. Isn't that the way it goes! i'm not much into the vintage look. I mostly do clean and simple. My style varies all of the time. It would be impossible for me to do a scrapbook with the same colors and styles for page after page. I absolutely love anything vintage!! My style varies all the time, just depends on what my mood is :). In going through a lot of boxes from my mom's house, I am finding some really cool old stuff to use on pages of her photos. I really don't have a favorite style, with all kinds of new and old techniques I change them out a lot. I don't do a vintage style. I'm plain and simple in my card making. I no longer scrapbook. My daughter does her own and my sons aren't interested in inheriting bulky albums. I will be putting together digital photo books of their childhood photos. I had them all scanned to be digital. Thanks for all the info in your posts. I hope to take some photos of my flowers and use them in future projects. I love all the different looks! Right now I am working on albums from my Mom's childhood for my sisters and I. I need the vintage look and I struggle with it. I don't usually buy papers, etc., until I am ready to work on a project. So now that I am looking for the vintage look .... struggling! I've got to become creative ... speaking of creative.... Diane your page is awesome! I love the look, love the saying and love the fact that your page is family! Thank you for sharing! While I have a standard M.O., I have dabbled in other styles for challenges. I have a hard time with vintage though. I'm just starting to come to terms with it, getting help from my almost 13 year old who has recently gotten into steampunk. I'd love to be able to master it though, if for no other reason than to be able to make vintage cards for friends who love the style. My styles vary and I use very little vintage. I am mostly a clean and simple girl. But, sometimes I do a little shabby chic! Thanks for a chance to win the fabulous boxes you've put together and all of your inspiration! I do like florals, but not head over heals about Victorian. I guess I am more clean and simple or classic. I do admire and respect other crafter's choices and styles regardless of my own preferences. 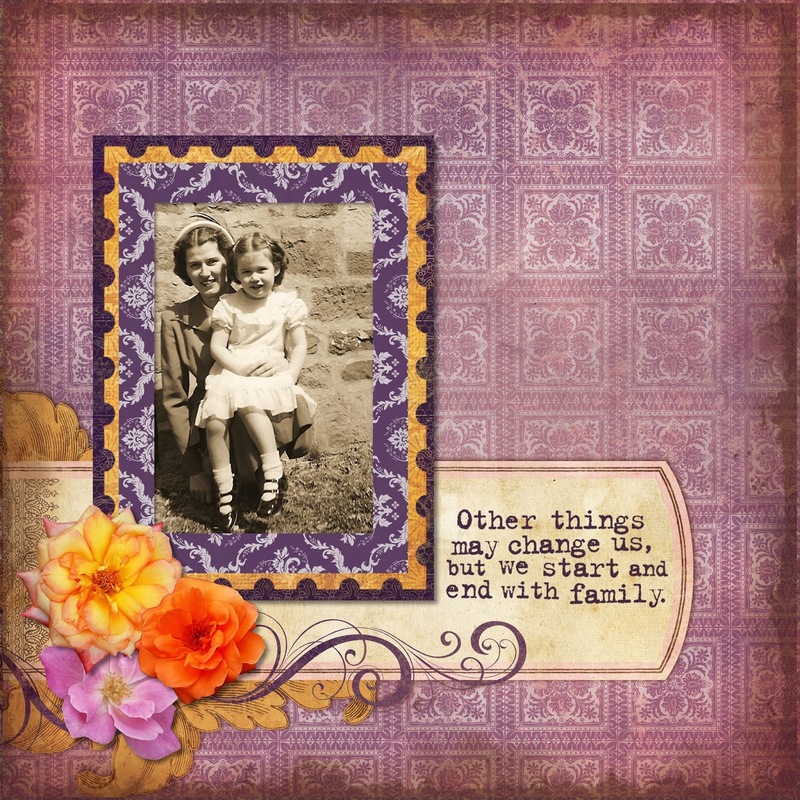 I love vintage for family scrapbooks, mothers day cards and any black and white pics. I tend to go with a theme embellishment until I think enough already! I go with a style until I get tired of it and find a new obsession! I kinda stay the same. I'm plain and simple. I typically am not a fan of the vintage look. But I guess it all depends. I do love "cutsie" graphics and fonts. I love anything with glitter and love all things that shine!! =) thank you for the opportunity to win! Happy anniversary!! I like the vintage style. My sister in law loves it, so when I find vintage paper or anything vintage, I make her a card or I will scrap a page for her then frame it. Vintage is not my style. I like simple. Vintage is definitely my favorite besides rustic decor. I do like to mix it up though. It depends on my mood at the time or some inspiration I just saw. Love the cards! I generally don't make anything that looks vintage. I have made a few cards that have the vintage looks. Your cards are beautiful. I like the vintage look and usually ink the edges of just about everything. I don't think I like vintage per se... I have been drawn to kraft papers and images that I have found on them which sometimes leads me to vintage designs... but I love clean edges and bold color combos nowadays. I like some of the stuff in vintage. Love using it for my older relatives. GASP....I thought those flowers looked to real to be true....lol...they're photogrpahs....can't wait for that video! I like the vintage style, but I don't use it very often. I don't do vintage. Its not a look I ever fell in love with. I don't really have a "style", but most of my layouts are clean and simple. I love your layout! Because of your many garden photos, I have started taking many "flower" pictures--much to my husbands dismay....He just can't figure out the draw! It is also a great way to play and learn more about my camera. I have not yet learned to go digital, but have color copied several pictures to use as background papers. However, the realism in your layout is stunning! I do enjoy looking at vintage and have used it in heirloom layouts, but it is not a style I use often or well. However, I have not done many heirloom layouts, so I haven't really had the need to do it much. My style is usually all over the place, but nearly always uses bright colors. Which, also explains why I was so drawn to your layout!